Mary Lean Smith was born in Columbus, Mississippi on May 2, 1946 to the late Edd and Olean Troupe. She passed away on April 12, 2019 at the age of 72. 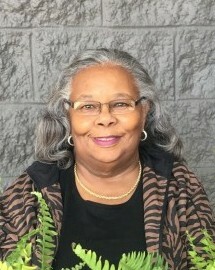 She leaves behind numerous loved ones, including her loving husband of 55 years, Ivory Smith; two sisters Ethel Troupe and Daisy Bobo; three daughters Calandria (Michael) Brockington, Valarie (Jermaine) Williams, and Perdita (Bernard) Betts; one son, Anthony Smith; thirteen grandchildren Christopher Smith, Cristi Jones, Octavious Williams, Kari Burdick, Nicholaus Williams, Cody Edwards, Kaitlynn Williams, Antoine Williams, Devon Edwards, Alashae Betts, Xavier Betts, Myles Betts, and Verran Betts; and a host of great grandchildren, nieces, and nephews. We will be celebrating her life on Saturday April 20, 2019 at 12:00 located at the Kingdom Hall 216 Jonquil Avenue, Fort Walton Beach, Fl. The wake will be held on Friday April 19, 2019 from 3-6 at Emerald Coast Funeral Home 161 Racetrack Road NW, Fort Walton Beach, Fl. Flower arrangements can be sent to Emerald Coast Funeral Home. There's still time to send flowers to the Viewing at the Emerald Coast Funeral Home from 3:00 PM to 6:00 PM on April 19, 2019.